What direction do Chinese want their house to face. Or some residents asking What is the best direction for the front door in China. Most of the residents has such question in their mind when coming with vastu in China. Emperor of China sits on North and facing towards South direction. He ruled the entire country by sitting facing towards South direction only. People of China also likes to face houses towards South. The Northern china is having a very high cold, in such climatical conditions they got Sunny light from South direction, so they likes to have South facing homes. Just like in Nepal also, people likes to stay in South facing homes. We visited vastu consultancy in Nepal and found that South facing homes are costlier than any other direction homes in Nepal. 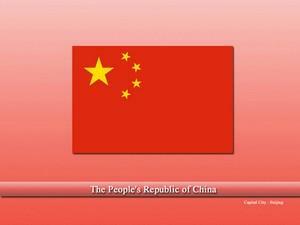 China, authentically the “People’s Republic of China” is a sovereign country located in East Asia. The country is ranked as the fourth-largest country in the world in terms of area covered and the most populous country in the world. The country since its independence has achieved countless milestones and is the second-largest economy in the world. Moreover, the country leads in every single sector, whether it is related to education, human development, industrialization, military, space program or trade. The country is expected to surpass the United States in the coming years and also has the world largest standing army followed by the second-largest military budget lagging behind only the US. The country is a member of the United Nations, G20, World Trade Organization, Shanghai Cooperation Organization, and BRICS. China has a long-term history of cultural heritage, developments, research, wars, and modernization. Some of the evidence found in China is expected to be of the “hominids” that were one of the earliest humans in the world dating back to approx. 2.24 million years ago. “Xia” was one of the first dynasties that occurred in the region around 2100 BC. The remains of this dynasty were also unearthed in 1959. As the time passed, several dynasties and kingdoms ruled China in their respective times. One of the wonders of ancient time is also the “Great Wall of China” and is a symbol of Chinese historical architect and advancements. The Mongol conquest in the 13th century is one of the most tragic events in Chinese history as almost half of its population declined. Qing Dynasty was the last dynasty that ruled China until 1912. The dynasty was forced to abdicate by the people of China and wanted a Republic. Serval rebellions and uprisings occurred resulting in millions of deaths. Although, the government was proclaimed it was not as easy as it seemed. The following years were marked by civil wars and several Japanese occupations, especially in the Second World War in which millions of Chinese were killed in massacres and other events. After the war ended, Civil war in China again broke out due to differences in the governments i.e. democratic and the communist. In the end, the Communist armies under the famous “Mao Zedong” won and the communist government was formed. The geography of China is one of the most diverse, and interesting in the world, featuring from high rising Himalayan mountains to the vast tracts of Gobi Desert. Other main features include plains, valleys, rivers, lakes, mountain ranges, glaciers, and forests. Interestingly, China borders 18 other nations that include Russia, Mongolia, Pakistan, India, Afghanistan, Bhutan, Kazakhstan, Vietnam, Tajikistan, Myanmar, Nepal, Laos, North Korea, Kyrgyzstan, and Bhutan. The biodiversity of China is also very rich and is ranked as one of the 17 megadiverse countries in the world. There thousands of species living in different regions of the country. Pollution is one of the main environmental issues of China due to a huge population which means millions of vehicles and other issues like massive industries. This is the reason the Chinese are planting millions of trees to tackle this situation. 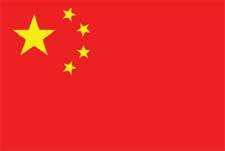 China has the second largest economy in the world and has one the highest economic growth rate. Once a weak and war-torn country, today China is a Superpower and lead in every single sector, either it is related to technology, industries, infrastructure, military technology, etc. The Asian markets are flocked by Chinese products and its hard to find any product that is not “made in China”. From daily use-items like toothbrush, etc. to mobiles and automobiles, everything comes from China. In modern times, not only Asia but the Chinese products have made it through to the European and American markets also. The Chinese technological giants like Huawei, Lenovo, OnePlus, etc. are even replacing American companies like Apple, Dell, HP, etc. The Chinese products are cheap but do not lag behind in performance. This is the reason most of the developing countries are dominated by Chinese products. Even though, some of the world’s largest companies like Apple, Dell, Sony, Samsung, etc. have their manufacturing plants in China due to low labor costs. Agriculture, although plays a small share in the total GDP, the country is the largest agricultural products producer and consumer. 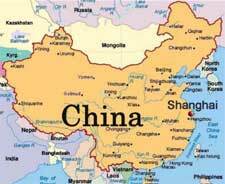 There are over 229 languages spoken in China. Standard Mandarin is the official and national language of the country and serves as lingua franca. Majority of the Chinese population are Atheists, in fact, once the Chinese people were one of the most religious people in the world. Where should i keep my money as per vastu?